The spokesperson confirmed that one person had died in the stabbing attacks and that the attacker was in hospital. 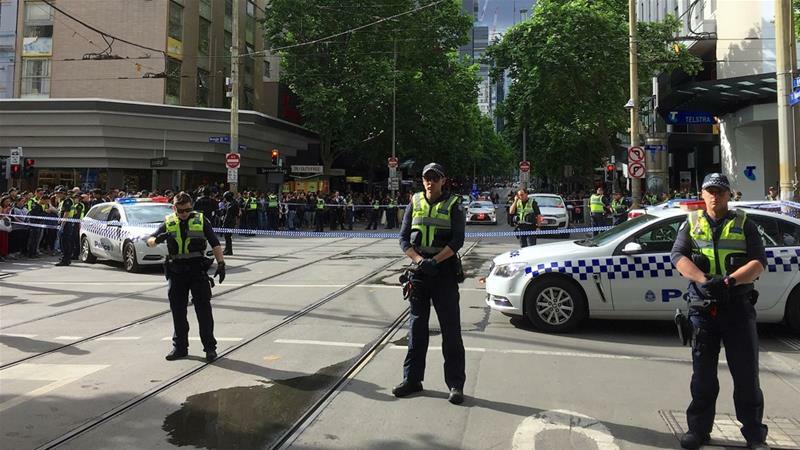 According to them, the police initially responded to a report of a vehicle on fire near the corner of Swanston Street about 4.20 pm (10.50 am IST). The exact circumstances are yet to be determined at this stage. "It's very early in the stages of the investigation", Supt Clayton said. They had initially thought the man was running to catch a tram close by, before a nearby police vehicle rushed to the scene. Another said they heard "what sounded like a bomb and gun shot". The Metropolitan Fire Brigade said the fire was contained within 10 minutes. "I heard at least one gunshot initially".